M&S has appointed fashion specialist ODD to its clothing and home account, while Subway and Starbucks are among those looking for new partners. Homebase is holding chemistry meetings with agencies in two weeks' time for its advertising account. It is looking to appoint a shop as part of its "turnaround" plan. The process is being handled by AAR and a result will be announced in the spring. LloydsPharmacy is looking to appoint a creative agency. The brand, owned by McKesson, has approached agencies directly. Starbucks is reviewing its UK media business, putting 19-year incumbent Manning Gottlieb OMD on alert. The coffee chain has started a review process through Creativebrief. Subway UK and Ireland is seeking an ad agency, bringing its 10-year relationship with McCann London to an end. The brand is working with AAR on the pitch process. McCann will continue to work on the brand’s European account. Duracell has hired Wunderman Thompson as its global creative agency partner for all markets outside North America, ending a four-month review process. The incumbent is Grey London. Manchester-based Cube3 has picked up a brand development project for the NHS Transformation Unit after a pitch. Sheffield-based agency Über has been appointed to design and develop a creative concept for a new attraction at Chester Zoo after a pitch. Über is working on the zoo’s new Madagascar habitat, including a lemur walkthrough. Marks & Spencer has appointed ODD to handle advertising for its clothing and home business after separating the business from the food account earlier this year. ODD beat Pablo and The & Partnership in the final pitch. M&C Saatchi and Uncommon Creative Studio were also involved but were eliminated in an earlier round. Leo Burnett has won Iceland’s advertising account after a pitch against Brave, Leo Burnett, Manchester-based Music and St Luke's at its head office in north Wales. The frozen-food retailer split with Karmarama last year. 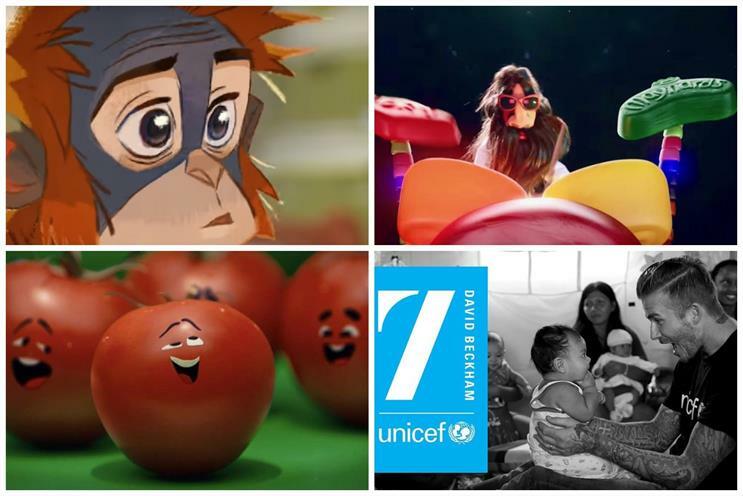 Unicef UK has hired The Community London to establish a new direction for its advertising. The Publicis Groupe agency beat 72andSunny Amsterdam and becomes the children’s charity’s strategic and creative shop. VCCP has landed the creative account for Mondelez International brand Maynards Bassetts without a pitch, on the back of its work for sibling brand Cadbury.